Our Program meetings are held the 4th Wednesday of the month at the American Legion Hall 4561 Greenstone Road, Placerville, California 95667. The doors open at 6:30pm and the meeting starts at 7:00pm. The meeting is open to members and visitors. There is a fee of $4.00 per meeting for non-guild members. February 27,2019 Mary Boyer will give her lecture “100 Years of Signature Quilts"
April 24, 2019 is a rest and relaxation meeting with a fiber-filled game night. 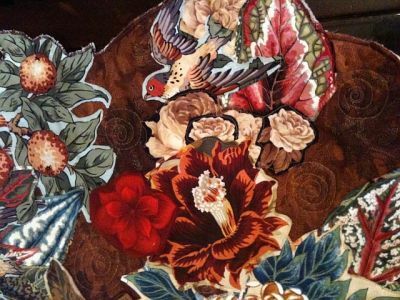 May 22, 2019 Jill Rixman will give her lecture "The Evolution of a Pattern Designer and the Quilts Along the Way"
June 27, 2019 Workshop Disappearing 9-Patch using the quilt as you go method.